It’s not just volleyball nets that we have for sale. Over the years, Elson Volley has developed quite the catalog of high-quality protective gear and equipment for all aspects of Volleyball. We sell nets and antennas, Spikezone, sports medicine gear, kneepads and court systems. All at the cheapest prices available. We offer a large collection of coaching resources to help teams develop their coordination and skills, through intelligent drills and conditioning. We also provide some of the highest quality volleyball coaching books to help your team become champions this season. For more information about our equipment, affordable volleyball nets or our host of coaching resources, contact us today. 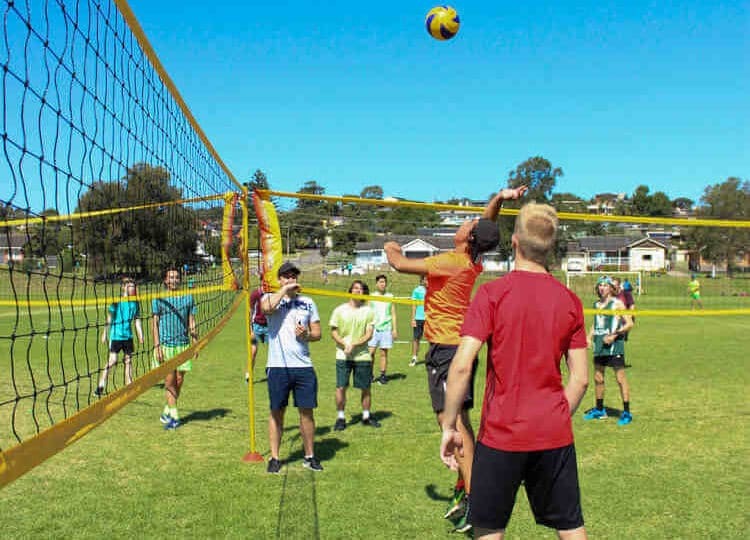 The Elson Volley TRI Net allows three teams to be playing at the same time. You can serve and spike to any team, making the game faster and more unpredictable. At this stage the Elson Tri Net is only available on request, there is also the option to hire for sports days or family events.